Sales figures show that the whole car buying world is going compact crossover mad. 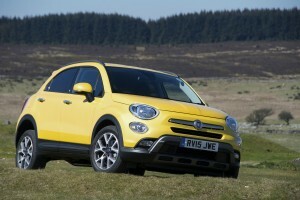 Sales figures also show that the Fiat 500 is doing very well. So it was never going to be long before someone at Fiat put the two ideas together and came up with the concept of an ‘off-road’ Fiat 500 – welcome to the Fiat 500X. 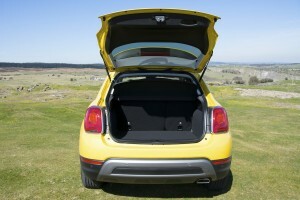 This car also enables Fiat 500 owners to move up to a larger Fiat – assuming that the 500L isn’t for them. 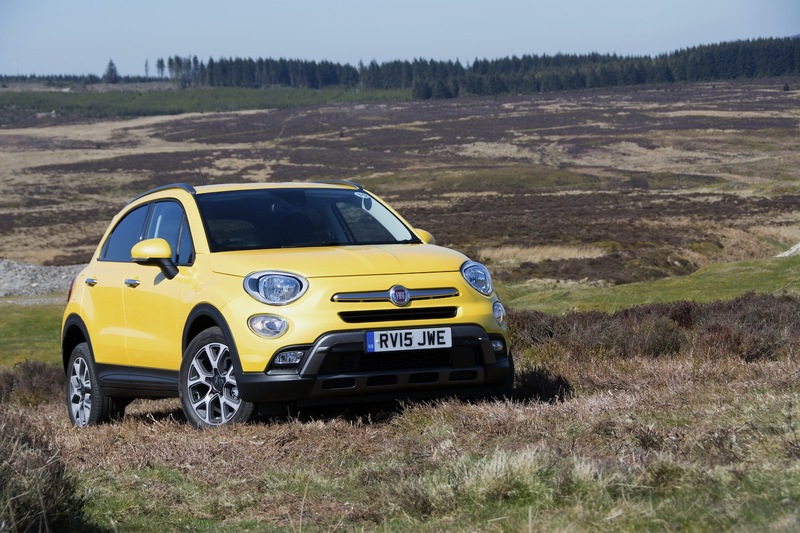 Of course the Fiat 500X is not just an off-road Fiat 500, it’s a completely new car – and a lot bigger. 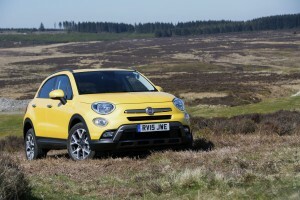 Fiat has already tried something similar with the 500L – a bigger, primarily on-road, family-sized 500. However in the 500X, in our view the design of the Fiat 500 has been much more successfully captured and enlarged than in the 500L. 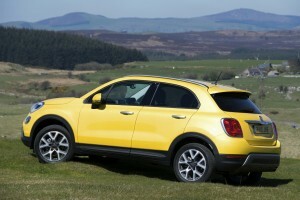 And the 500X is not just an off-roader. Although there’s the 500X Cross and Cross Plus, which are available with front-wheel drive combined with the Traction+ system or with four-wheel drive and off-road styling, there’s also the 500X Pop, Pop Star, and Lounge, without the off-road trimmings, which are aimed at urban drivers. 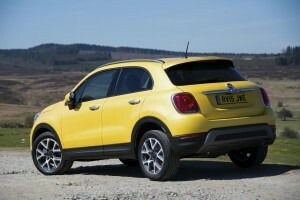 So the 500X is available with three different drive types: 4×2, 4×2 with Traction+, and 4×4. The 4×2 Traction+ system, available on the 4×2 versions of the Cross and Cross Plus, is an electronic traction control system that uses the brakes to ensure optimal torque distribution between the front wheels, providing more traction than a standard front-wheel drive car. The 4×4 model has a system that disconnects the rear axle when four-wheel drive isn’t needed to achieve maximum efficiency. There’s a Drive Mood Selector which allows the driver to select between Auto, Sport and Traction on the Cross and Cross Plus versions, and Auto, Sport and All-weather on the Pop Star and Lounge models. Inside there’s a Uconnect Radio with an RDS tuner and a media player with USB inputs and AUX, also available with a 5 or 6.5-inch touchscreen. 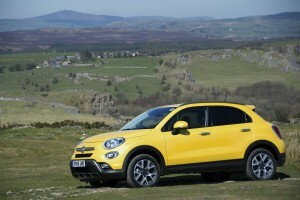 The driving experience of the Fiat 500X feels appropriate to its character – high riding and chunky (helped by the driver’s connection to the car via the thick-rimmed steering wheel). It doesn’t have particularly firm suspension, which results in a comfortable yet sometimes somewhat bouncy ride, although combined with steering that isn’t hugely sharp, this also means that it’s not the most precise of vehicles to pilot through twisting roads. The model driven on the launch was the 1.6 MultiJet II 120 HP. This is front-wheel drive rather than four-wheel drive, and a fair amount of torque steer and understeer is possible if the car is pushed. 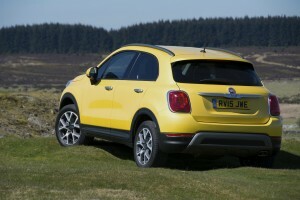 However overall the 500X feels reasonably refined – more so than a MINI Countryman. 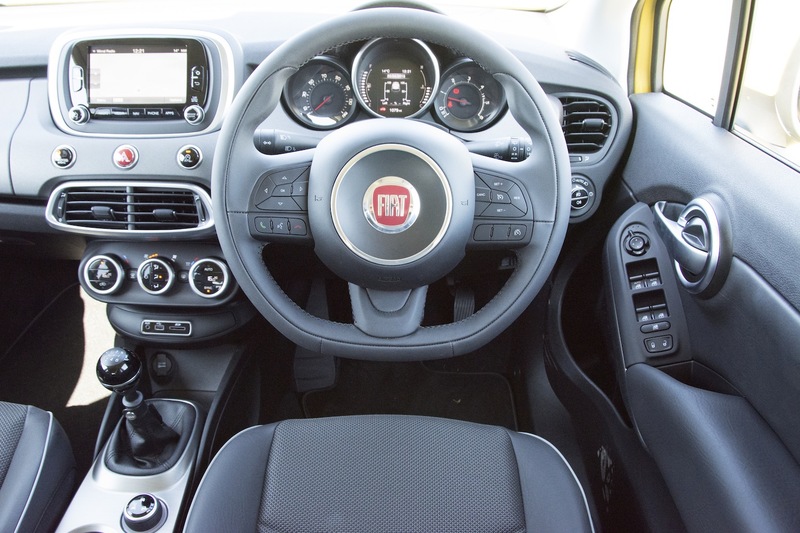 Like the car’s dynamics, the interior design with circular details feels appropriate. 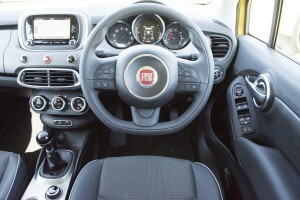 There’s reach and height adjustment for the steering, resulting in the best driving position of any Fiat we’ve driven. The most economical model in the range is the 1.6 MultiJet II 120hp with manual transmission and front-wheel drive, as tested, which has an official combined economy figure of 68.9mpg and emissions of 109g/km CO2. The 2.0 MultiJet II 140hp with automatic transmission and four-wheel drive has an official combined economy figure of 51.4mpg with emissions of 144g/km CO2. The 1.4 MultiAir II 140hp petrol model, with manual transmission and front-wheel drive, has an official combined economy figure of 47.1mpg and emissions of 139g/km CO2. On the short launch event we weren’t able to test the real-life fuel economy. 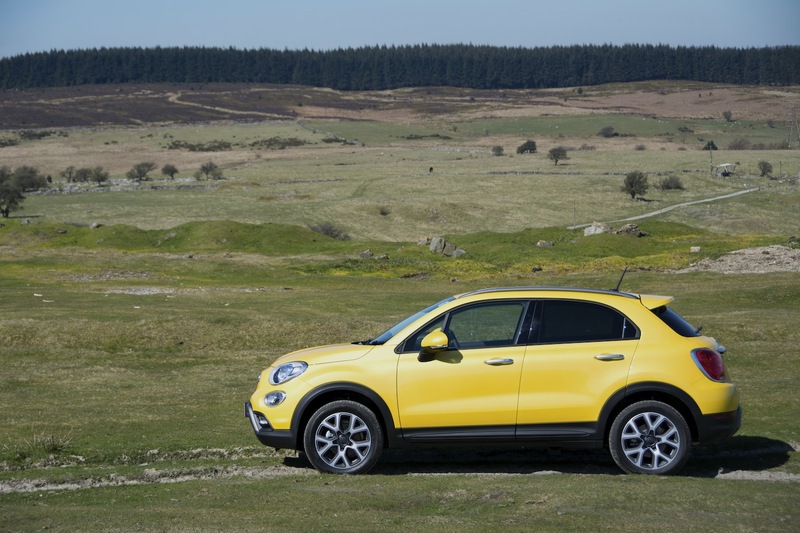 The Fiat 500X comes with a choice of petrol or diesel engines. The petrol options include the 1.6 E-torq 110hp and the 1.4 Turbo MultiAir II 140hp, and the all-wheel drive petrol model, which is equipped with a first-in-class, nine-speed automatic transmission as standard, is powered by a 170hp, 1.4-litre Turbo MultiAir II engine. The front-wheel drive diesel range consists of the 95hp, 1.3-litre MultiJet II turbo diesel, equipped with a five-speed manual gearbox, and the 120hp 1.6-litre MultiJet II turbo diesel equipped with a six-speed manual gearbox. The four-wheel drive diesel option is the 140hp 2.0-litre MultiJet II turbo diesel, which will be available with a six-speed manual or nine-speed automatic transmission. Pricing for the Fiat 500X ranges from £14,595 for the 1.6 E-torq 110hp in Pop specification to £25,845 for the 2.0-litre MultiJet II 140hp AT AWD Cross Plus. The price of the Fiat 500X 1.6 MultiJet II 120 HP as tested is £21,845. 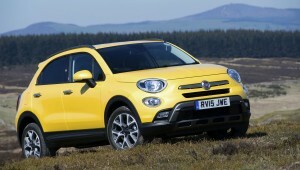 Based on the sales of the Fiat 500, and the worldwide demand for crossovers, the Fiat 500X will be a success. 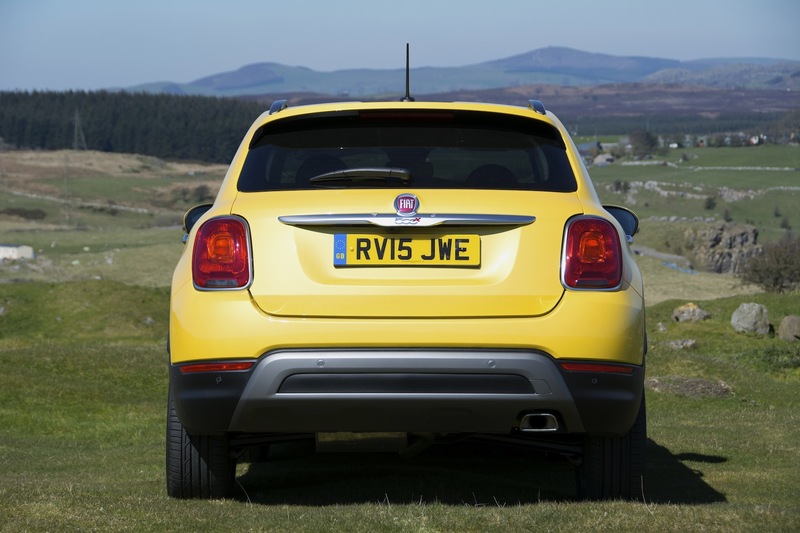 This is something that could have been predicted regardless of how the car drives – and we said the same thing back on the original MINI Countryman launch. Both cars offer character, the power of a brand, space for a family, the romantic concept of adventure, and efficiency. Based on our relatively limited first drive, the Fiat 500X also appears easy to live with, providing comfortable transport, and in Cross guise, the promise of exploring further off the tarmac road than would be possible in a conventional family hatchback. The Fiat 500X is awarded a Green Car Guide rating of 8 out of 10.